Personally, I too used LinkedIn effectively for getting new projects, selling my Books and even for getting visitors to my websites and subscribers to my Youtube channel. I used to actively engaged in many Group discussions using my LinkedIn profile to bring Business leads and sales. But it was many years back. Past few years I was not actively using LinkedIn and started using it again a few months back. And, now I have the feeling that LinkedIn as not useful as once it was. I tried to promote our Timesheet and hire freelancers for promoting our Books and websites. But I couldn't get any useful leads. Personally, I feel LinkedIn is becoming useless though previously it used to give a lot of Business leads and Book sales. I am not sure whether LinkedIn is becoming useless for me only or for others too. 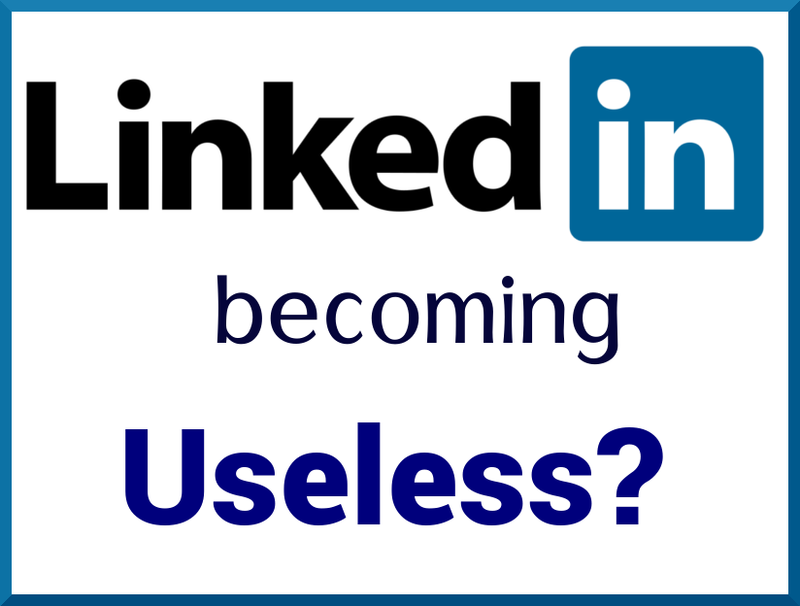 And, I am thinking about whether Microsoft's acquisition of LinkedIn plays any role in the activities of LinkedIn. Share your LinkedIn experience through the comments.